Welcome to Hasan Group/Lab website! Our lab is focused on the search/prediction/discovery/development of new physics of quantum matter. 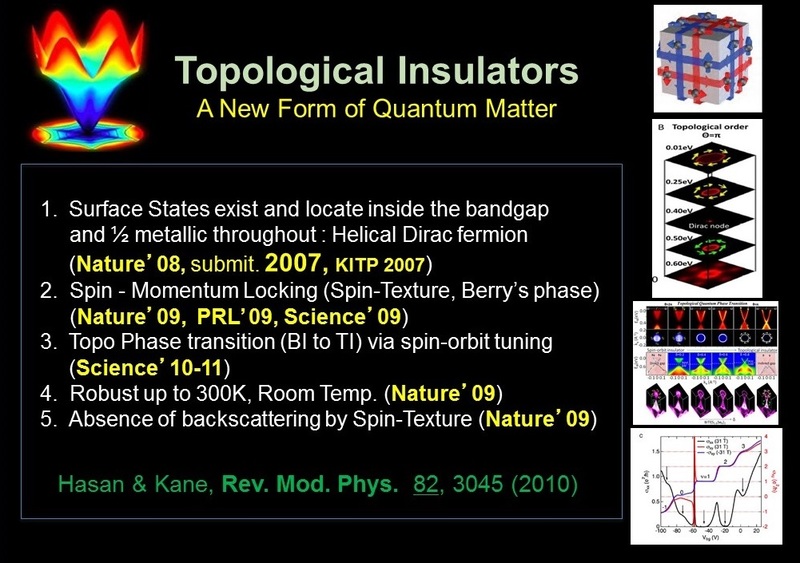 Currently, we design/grow/control/engineer properties of quantum matter, perform first-principles/DFT-LDA-TBT/analytic theoretical predictions and develop spectroscopic techniques and related tools that provide new insights into the emergent behavior of matter. We are interested in quantum-many-body emergence, Bose condensates, quantum coherence, and topological (weakly or strongly interacting, entangled) emergence. Our research has three anchoring themes: Novel Phases of Matter; Emergent New Particles, and Unexpected Novel Quantum Effects and the main focus is on the fundamental physics aspects of exotic quantum matter. We search for or work on natural or artificially designed Novel Phases of Matter (1) and emergent New Particles/Properties (2) and also explore Quantum Many-Body Physics. Artificially designed matter is directed towards quantum simulations. We explore quantum many-body systems in search of unpredicted Unexpected Novel Quantum Effects (3). Our research on these topics have been featured in "Search & Discovery" News and feature article in PhysicsToday, PhysicsWorld, Scientific American, NatureNews (homepage), ScienceNews, NewScientist, Discover magazine, Nature Research, PNAS, Princeton News, SLAC/Stanford News, Berkeley Lab News etc. multiple times over the last ten years. We are currently designing novel next-generation ultrafast spectrometers for exploring quantum coherence and topological control of novel quantum phenomena which is not possible with current generation of ultrafast techniques according to some of our theoretical predictions but relevant for what we call "topotronics". We invite you to visit our instrumentation (Laboratory for Topological Quantum Matter & Advanced Spectroscopy: B7 B2 B9 and B64, all 4 located in Jadwin Hall) at Princeton physics. Prof. Hasan, Eugene Higgins Professor of Physics at Princeton is also visiting affiliate at Lawrence Berkeley Lab in California; Berkeley Lab page. We are part of the Princeton University's Quantum Engineering and Engineering-Physics and employ design, simulation, engineering and advanced-instrumentation approaches to our research on quantum matter and novel spectroscopic methods. 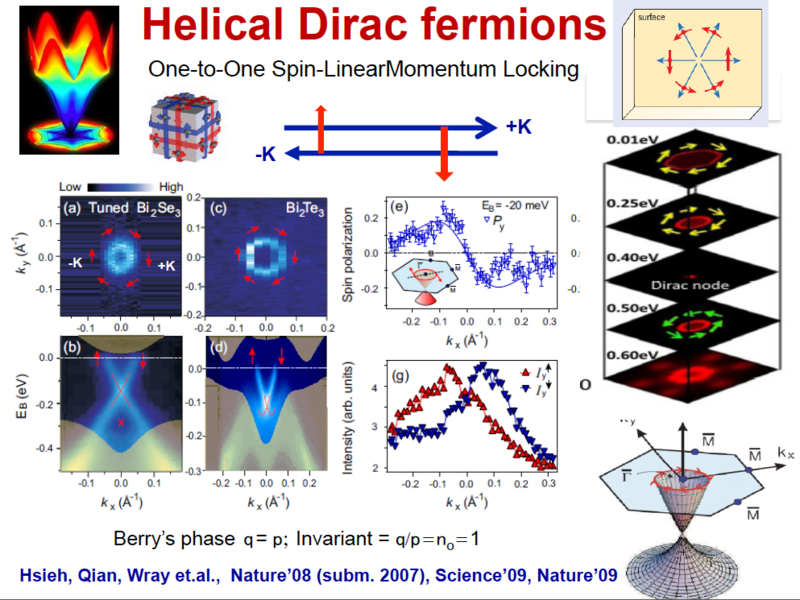 In addition to research at our Princeton labs, our group leads, directs or co-leads a number of collaborative projects at national and international laboratories including LBNL (Berkeley), SLAC (Stanford), Brookhaven, Paul Scherrer Inst (Switzerland), SOLEIL (Fr), Rutherford-Appleton lab (Oxfordshire, UK) and Theory Team on Topological Matter . Berkeley Lab (News) "Work at Berkeley Lab's Adv.Light Source helped to spawn a revolution in materials research"
Stanford University (News) "New spectroscopy takes aim at an unsolved electronics mystery"
ALS/Berkeley Lab (News) "ALS(Berkeley Lab) Reveals New State of Matter: Topological Insulators"
Science Talk (Physics-Next, APS-Physics/PRL): Quantum Fields to Condensed Matter..
"Discovery (theoretical prediction and experimental observation) of a large-gap topological-insulator class with spin-polarized single-Dirac-cone on the surface"
Moore Foundation (News) "Engineering topological states opens new frontier in quantum materials"
U.S. Dept. 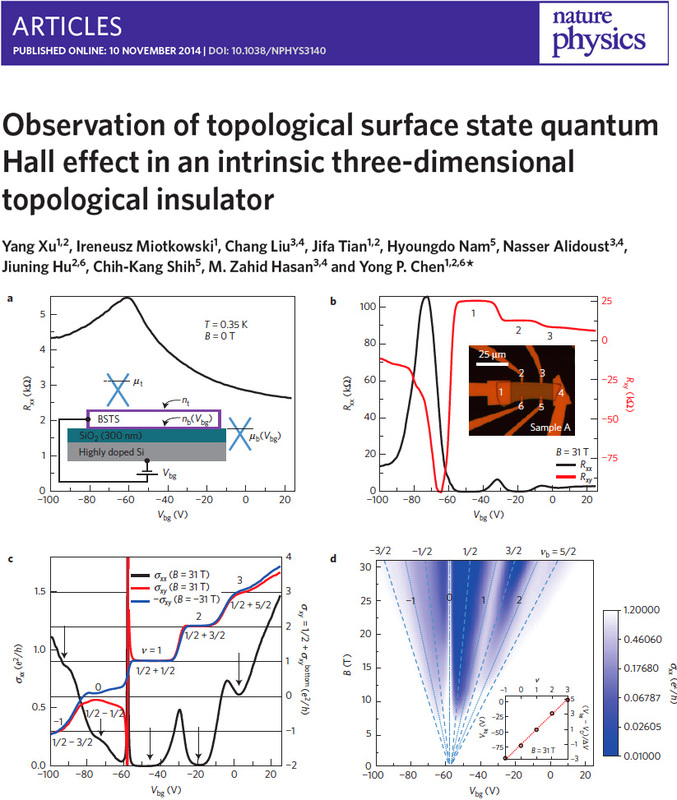 of Energy User Facility News "How X-rays Pushed Topological Matter Research Over the Top (2017)"
Observation of topological surface state quantum Hall effect in an intrinsic three-dimensional topological insulator. 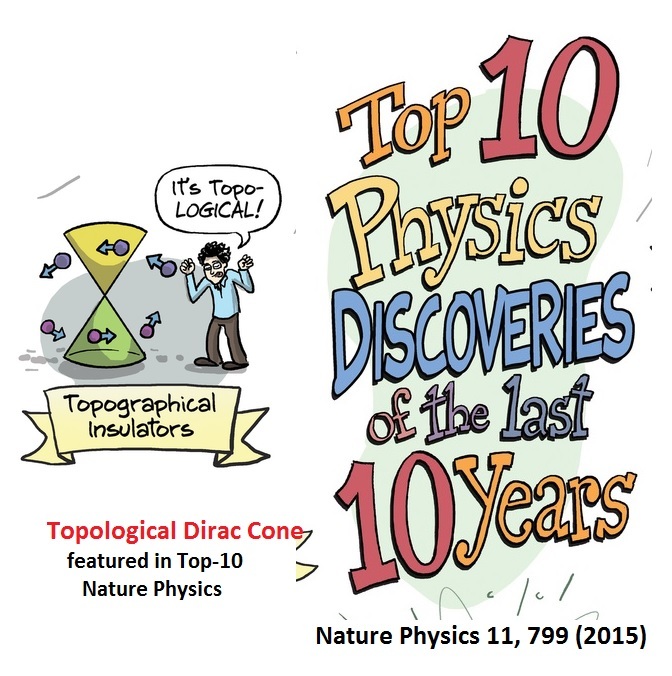 Nature Physics 10, 956 (2014).